When Steve Jobs first announced iTunes movie rentals, he assured the gathered press that 1,000 movies would be available by the end of February. Some believed his claim; others weren't sure how Apple would pull it off - and, now that February has come and gone, it looks like the detractors were right all along. According to a report from Macworld, the number of films currently available for download on Apple's iTunes movie rental service is just 399. And if all movies that can be purchased or rented are taken together, only 770 are displayed. 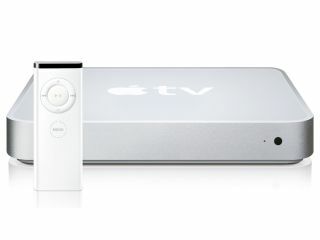 To make matters worse, the company's Apple TV device, which it promised as the hub for all rentals, currently offers only 351 movies. "iTunes Movie Rentals launches today and will offer over 1,000 titles by the end of February, including over 100 titles in stunning high-definition video with 5.1 Dolby Digital surround sound which users can rent directly from their widescreen TV using Apple TV," Apple claimed in a January press release announcing the new service. It looks like Apple has some work to do before it can achieve its lofty goals, and the iTunes rental service hasn't even hit European shores yet. Will there be a delay in that goal as well? Stay tuned.